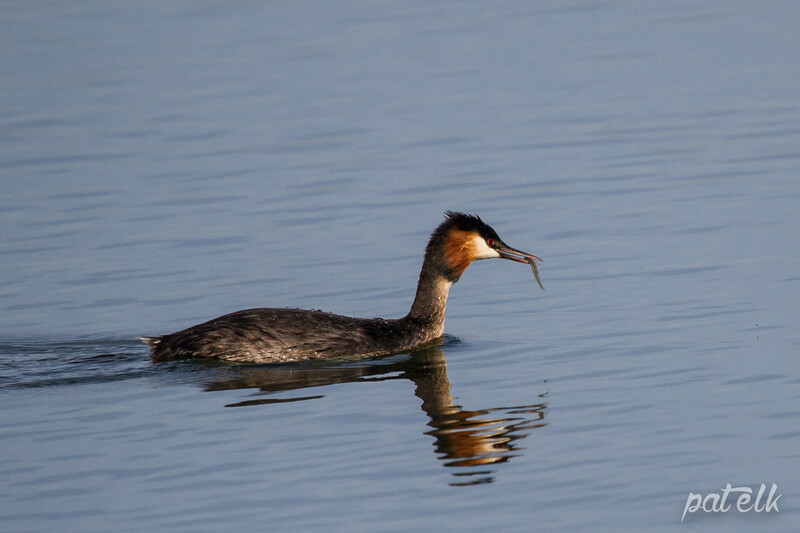 The Great Crested Grebe (Afrikaans name, Kuifkopdobbertjie) is a diving bird that feeds on small fish. It has a distinctive double crest and two ruffs framing its face. They usually carry their young on their backs. 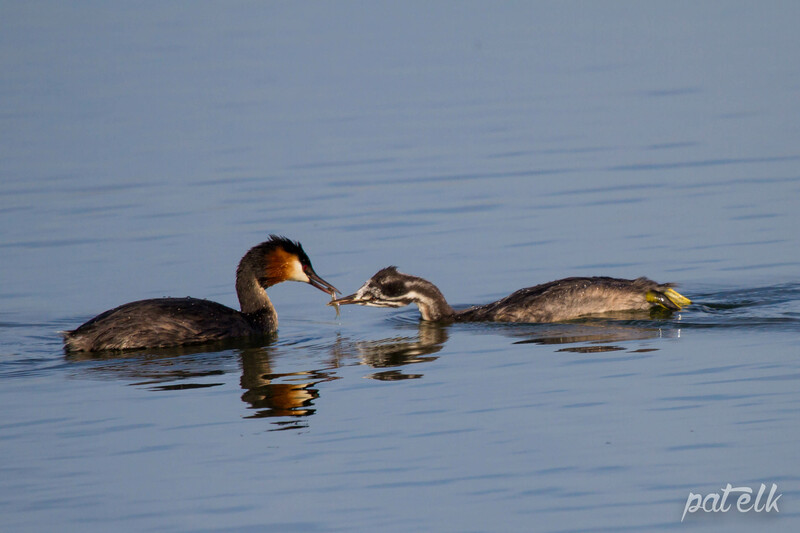 We were lucky enough to witness the adult diving for fish and then offering the fish to the young chick, who greedily snatched it up and immediately started calling for more. 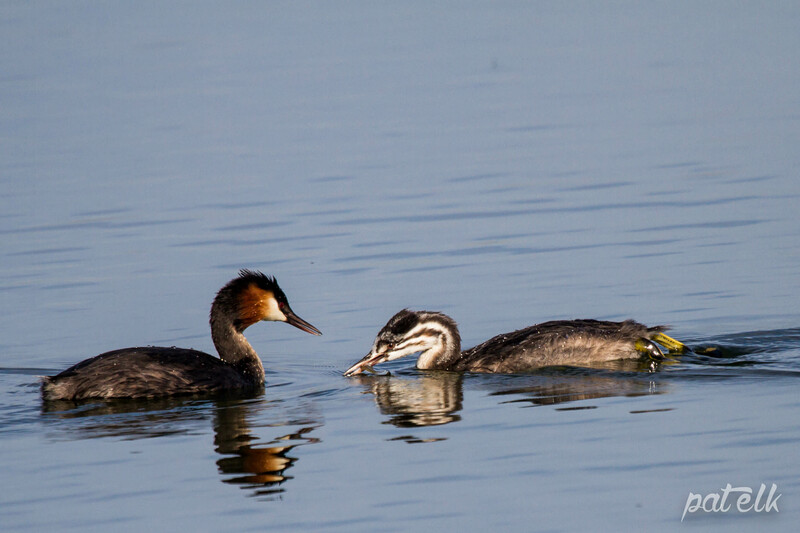 We saw these birds at the Rietvlei Nature Reserve in the Cape.